You’ll be a succa for this class for sure! Succulents are one of the hottest trends in gardening for good reason. Not only are they easy to grow, needing very little water and attention but they can also be dazzling additions to containers AND landscapes: available with diverse colors, assorted textures and even spectacular blooms! Learn all about growing various cacti, sedums, aloes, agave and more Texas tough perennials from the ground up. 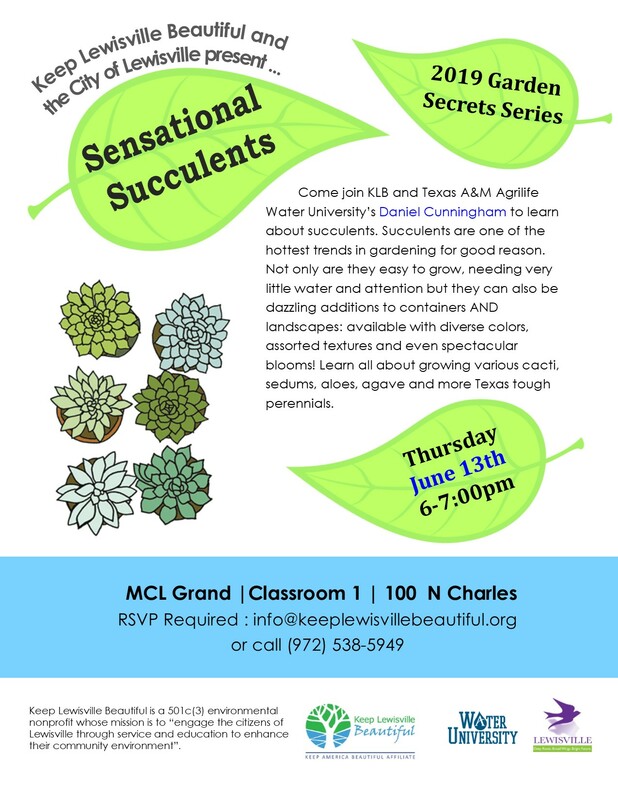 You’ll be sure to have the sharpest looking succulents in the neighborhood after taking this class!